Ex-hair-lent uses LK colours and Play haircare products by Hairtech. Sourced locally, LK colours and Play haircare products are designed to suit the Australian climate leaving you looking and feeling great. Ex-hair-lent recommends the use of Play haircare products to help you style and manage your new look. 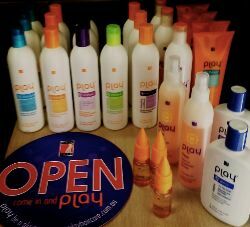 Play products are Australian owned and made, and will leave your hair looking and feeling better than ever before. Please see brow for the current selection of Play haircare products available for purchase.